Over my near-35 years of shooting, I have primarily shot and favored landscape type shots, with a heavy emphasis on natural subjects. 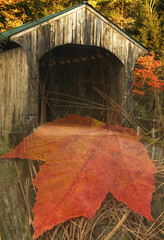 I also like to shoot architecture, like barns, lighthouses, grist mills, and bridges. I have often traveled great distances, or gotten up very early to find these subjects in the right light. I have timed seasons to get fall foliage. So many times, I have gotten to my perfect shot, only to find people milling about in the shot. As photographers, we can be arrogant sometimes. People walk into our shot or won’t move out of our shot. We chafe at that. Why can’t these ignorant “tourists” see that we are trying to frame up a shot? Don’t they “get” that they are messing up the beautiful image we are trying to make? I mean, most of them don’t even have cameras. They are using phones or those silly little point and shoots. Or just standing there looking! But that’s really a pretty myopic view of things. The ugly truth is that those sights are there for all to behold (not just us “special” photographer-people). And while we capture the beauty of the image or event in our own way, there are many ways for a viewer to behold and take in sights, including just embedding them in our memory. And why do/should us “serious” photographers have any greater right to the view than anyone else. Why not use them in our shots? As I grow older, more patient, and more tolerant of others rights, I have begun to take two broad approaches to the “people in my image” phenomena. The first approach, is to be patient and work with it. With some patience and a pre-set setup, I have rarely found a time when there wasn’t at least a brief moment when the area clears. Of course, it becomes much more of a challenge when you are working with changing lighting conditions. Life isn’t perfect. And, these days, digital capture and post-processing is a really useful tool. There are now frequent occasions where I shoot an image, knowing that I am going to clone out certain things. Sometimes when the people are front and center in the image and easily distinguishable from the landscape, the incredible “content-aware” cloning features of Photoshop work really well. While I rarely do this, another approach might be to be friendly and courteous and just ask for a brief clearing. If it is a small group, one approach might be to ask them if they would like you to take a photo of them with the scene in the background and then explain that you would like to take one without anyone in the background. In the end, I think patience and courtesy for others’ rights will serve us well. The second approach is a newer way of thinking for me. Why not “use” the people in the picture as an advantage? Why not use them as a “story-telling” “prop?” Having people in the photo – I am learning – is a way to make a so-so postcard image (and let’s face it: in most of these instances, it’s been done over and over before) more interesting and appealing. People can also often give an image scale and perspective. The couple in the Honeymoon Island shot make this hackneyed “Florida Gulf Sunset” image more interesting in my opinion. It is a “storytelling” feature of the image. In the Dublin image, during the day, it would be simply impossible to shoot the Ha’Penny Bridge all by itself. So I purposely used the “hustle and bustle” of people crossing and looking, to make the image of what it is like to be on that bridge on a typical Dublin Day. In the Tannery Falls image, the “people” (and trust me, the smaller one THINKS she’s people) give perspective, and the red jacket contrast to an otherwise monotone scene. But putting people in your images requires some additional thought and care. If they are recognizable, you have to think about their privacy rights and their rights to their own image. You might need a model release. For the most part, so-far, I have tried to place people in my image in ways that they cannot be recognized. I have some friends who shoot who are more gregarious (or maybe just brave) than me who find it easy to simply approach people and ask if they may take their image. Hmmm. People who are in public places have no expectation of privacy. Nor, legally, do they have rights to their “own image.” Model releases are only required if you are going to license the image for commercial use. They are not required to hang the picture on a gallery wall. They are not required for editorial use — although third person captions might get you in a lot of trouble. They are not required for a picture of big crowds. Asking somebody if they mind being in your picture is a kind and courteous thing to do, but it is your street as well. Trust me. Getty Images attorneys keep us very well informed. Thanks for the insight, Ray. I tried to be equivocal by saying you might need a model release. Didn’t really want to get into the legality. That’s why I am comfortable putting the bridge shot on my blog. Licensing it, I might want to see counsel – like your Texas guy :-). I agree that generally speaking, folks in public have no RXP.